LC02 chiller, which creates a dramatic, controllable low-lying effect. Includes: GFORCE 3 SMOKE MACHINE (INCL TIMER REMOTE), FREEZEFOG PRO LCO2 CHILLER KIT, AND ROAD CASE. 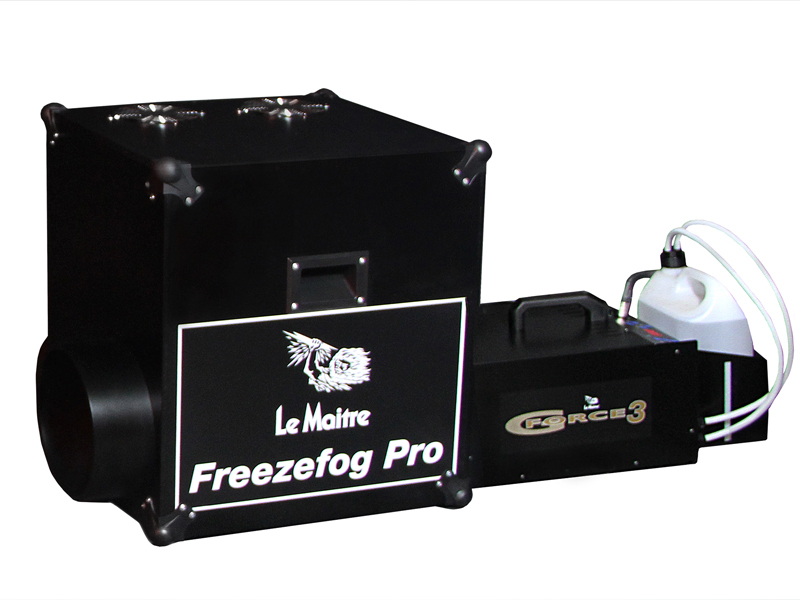 Freezefog Pro creates a dramatic, controllable low-lying fog�effect when used in conjunction with either a G300, GForce 2, or GForce 3 fog�machine and specially formulated Le Maitre fog fluid. The low fog�fluid is pumped from the smoke machine into the Freezefog where it combines with either high or low pressure liquid CO2 from a remote cylinder.